I have a film and television background as I studied at the Media Design School and worked at TV3 in the graphics department. 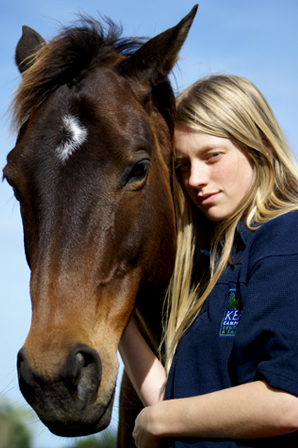 I have loved horses since I was just a small Genna and have always dreamed of doing something out of the ordinary. 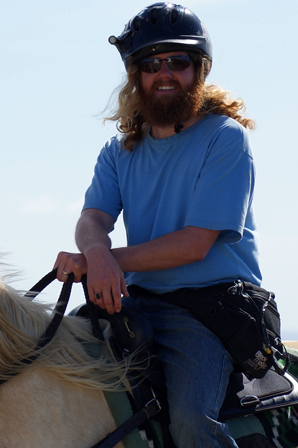 I came up with the idea to travel around New Zealand on my horse when I was nineteen. When I met Kerrin he jumped at the idea straight away. A few months later we were married and planning Down, Across and Up together. It was truly an adventure of a life time and we both have so many incredible memories of all the people who were a part of it and of all the crazy moments we went through. The whole motivation behind Down, Across and Up was to raise money for CanTeen and it gave us a great feeling of satisfaction to be able to help people. I have worked in the Television industry for over 10 years. Prior to that I studied Film and Television and the Performing Arts. I ran my own entertainment business where I worked as a children's entertainer. 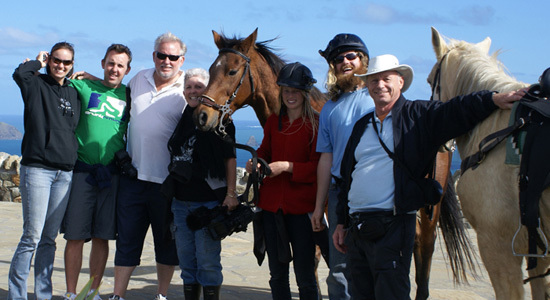 Prior to planning the trek I had never ridden a horse and certainly never envisaged doing so. The trek had so many highs and lows (usually on the same day) but that's what made it interesting. What inspired us to continue through, and overcome, the low moments were the CanTeen members. Every horse we had on the trek made us proud and we owe them so much. They were the ones who were actually doing the trek, we were just along for the ride, and what a ride it was! We really couldn't have finished the trek without all the help and support from our crew. We needed people to follow us on dangerous roads to keep us safe and bring us out supplies. Our crew also documented all the highs and lows on video as we travelled through some of New Zealand's most spectacular scenery. There were also people back in Auckland who organised interviews with the media and provided ongoing technical support. We would like to really thank everyone for all their efforts. We would like to give extra special thanks to our noble horses as they were the ones who walked around the entire country. We were just along for the ride, so they really deserve a huge amount of acknowledgement.